Welcome to Understanding Behaviour 2019! This conference aims to bring together researchers interested in studying different aspects of behaviour across scales. Behaviour is ubiquitous, and can be studied at various levels of organization, from single molecules to populations, using tools as diverse as microscopy, field observations and mathematical modelling. 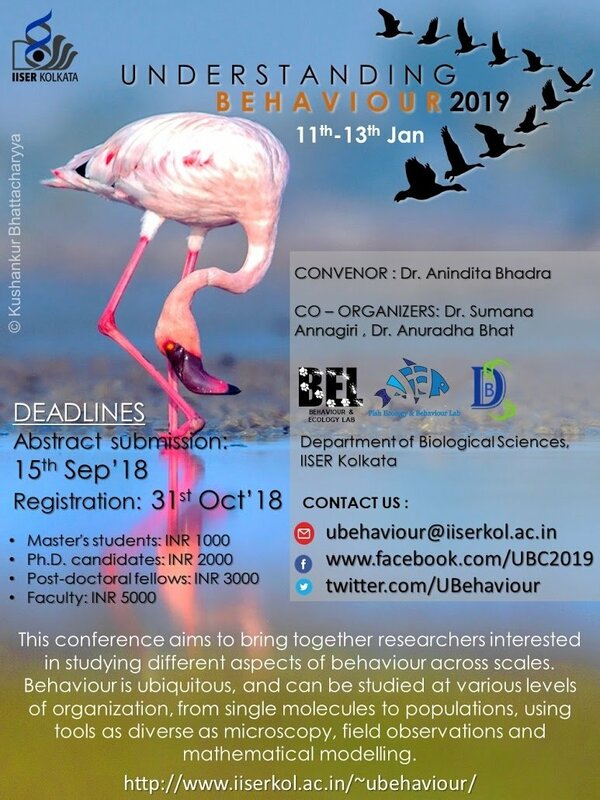 The key concept of Understanding Behaviour 2019 is to showcase cutting edge behavioural research across disciplines, not limited to the confines of animal behaviour alone. We hope this conference will not only provide a platform to share knowledge, but also serve to establish networks between the participants, promoting exchange of ideas and future collaborations. Listed on 29 Aug 2018.